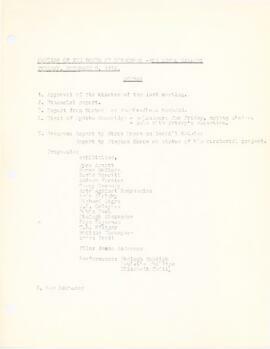 Item consists of a list of Directors for the Eye Level Gallery that was sent to the Registrar of Joint Stock Companies. 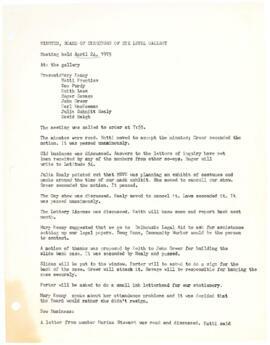 The list includes the names of the members, their occupation and role at Eye Level Gallery. 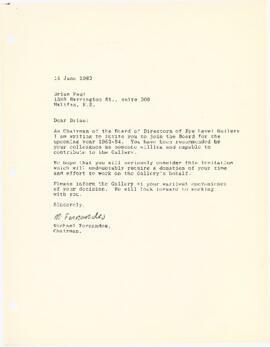 Item consists of three letters from Michael Fernandes as the Chairman of the Board of Directors of Eye Level Gallery requesting Kathy MacGillivray, Danica Jojich, and Gary Conway to become Board Members on the Board of Directors. 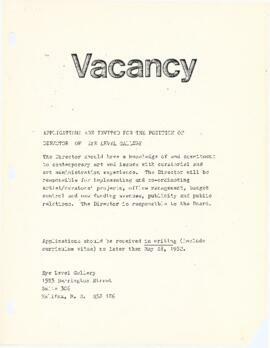 Item consists of an advertisement for applications for the position of Director of the Eye Level Gallery. 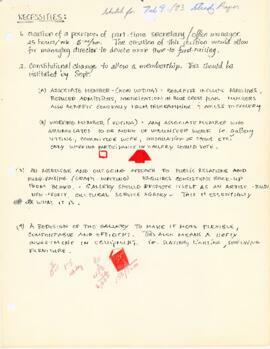 Item consists of an agenda and minutes from a Board of Directors meeting. 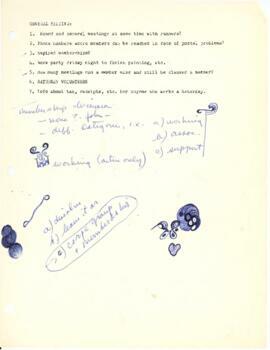 Issues discussed at the meeting included: the NSCAD internship, financial problems, and programming. 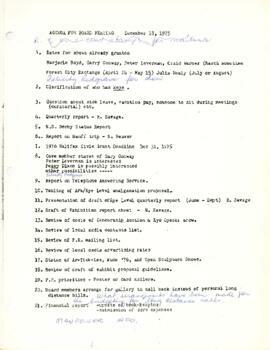 Item consists of an agenda for a Board of Directors meeting for the Eye Level Gallery. 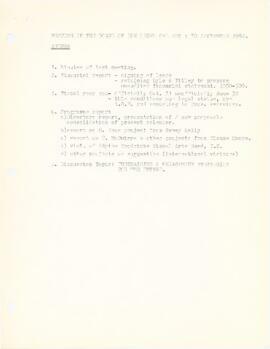 Topics on the agenda included: Marina Stewart's letter regarding finances, the new director, 1983 programming, financial reports, and review of proposals. 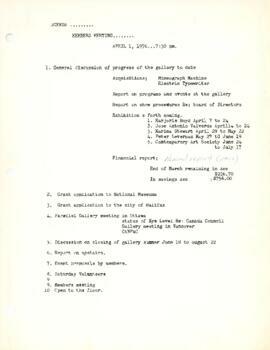 Item consists of a Board meeting agenda for Eye Level Gallery, where the main topics related to selecting a new Director. 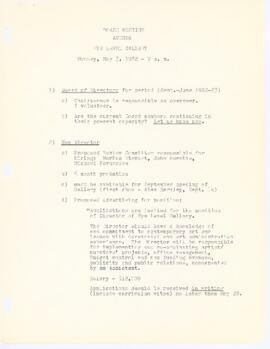 Item consists of a list of income and expenditures for the Eye Level Gallery for the period of February to June 1984. 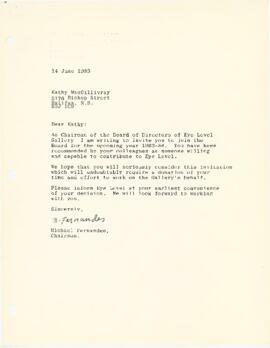 Item consists of two letters regarding the Board of Directors at Eye Level Gallery. 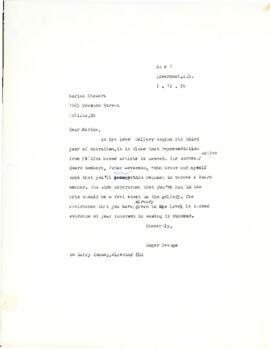 Michael Fernandes wrote to Brian Paul inviting him to join the board, and Paul responded to the offer and accepted the position. 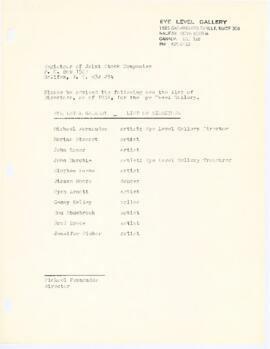 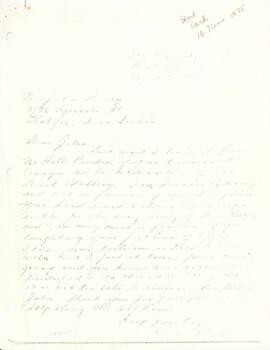 Item consists of a letter to the Program of Assistance to Galleries and Museums of the Canada Council from Marina Stewart correcting an error John Murchie had made in their financial report. 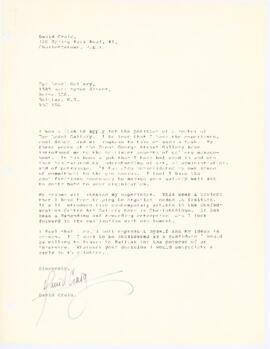 Item consists of David Craig's application for the Director position at the Eye Level Gallery. 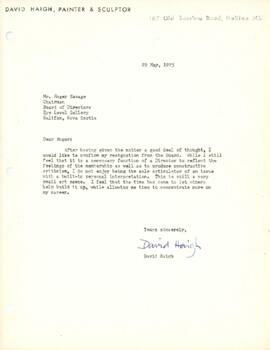 Craig's letter of intent, a curriculum vitae and a newspaper article about his involvement at Charlottetown's Great George Street Gallery. 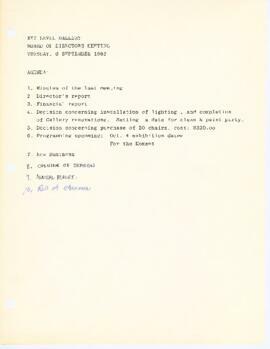 Item consists of an exhibition schedule from September 1982 to April 1983, and a list of anticipated expenses for 1982 to 1983. 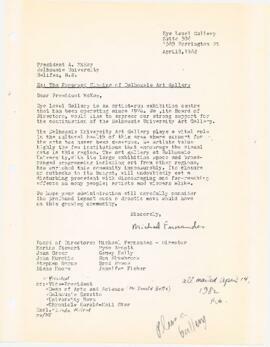 Item consists of a list of exhibitions and events that occurred at Eye Level Gallery between October, 1977 and June, 1981. 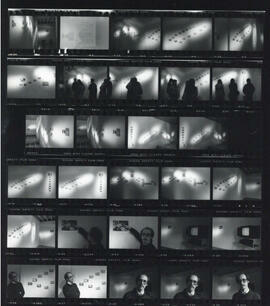 The list identifies the year, the artist, the title and the medium or material of the exhibitions. 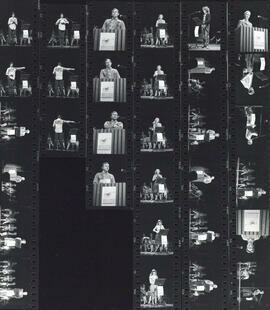 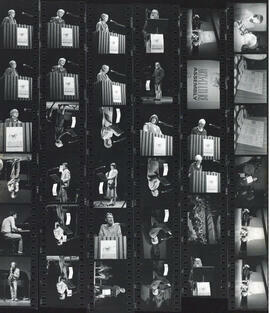 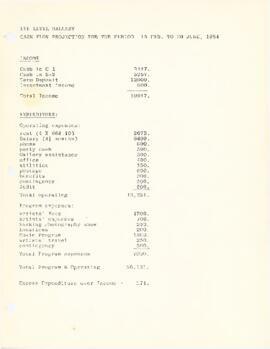 Item consists of a budget projection for 1983 to 1984, and a financial report from September 22, 1983. 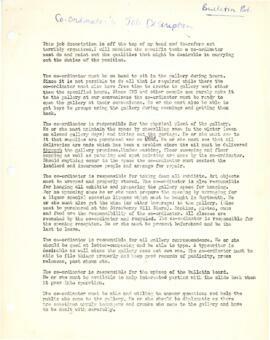 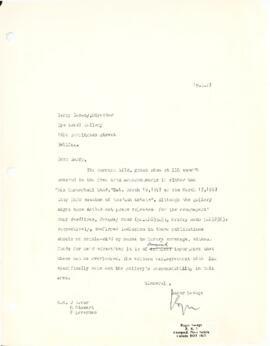 Item consists of an "unaudited" statement of operations and member's equity on June 30, 1983 for the year's end. 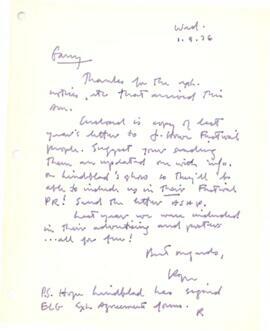 Item also includes an analysis of expenses and fees paid to artists. 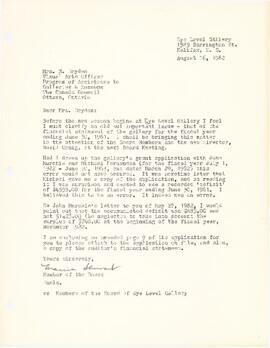 Item consists of a report of Eye Level Gallery's unaudited financial statements.